This is apart of our GLOW night. We put on a special night for all our middle school students that was full of glow in the dark everything. We replaced all the florescent bulbs in our building with black lights. 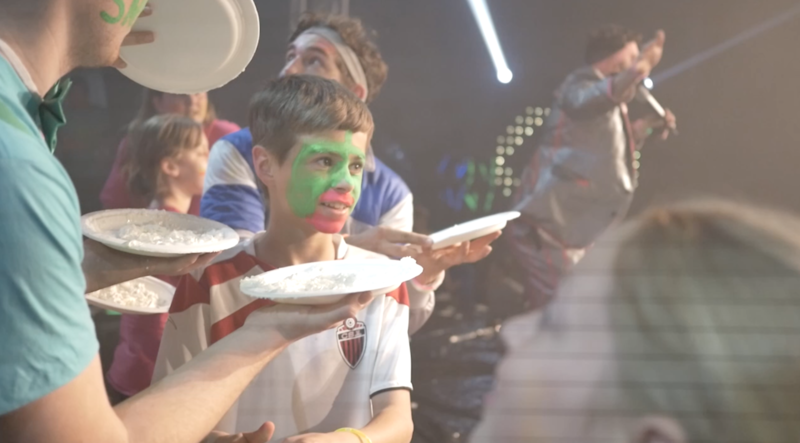 There were glow stick straws to serve with our Italian sodas, glow in the dark face paint with a make-up station, free glow sticks and some incredible games. This was a huge success for us, and we hope you can translate some of what we did for your context! Enjoy these! Pie Trays / Plates. Either will work, you just need something to hold all that whipped cream before you pie someone. Whipped Cream. You can also use shaving cream, but whipped cream tastes better. Buzzers. We use THESE cause the work great and show who hit the buttons first. You can also try THESE, although this only sends out songs, making it harder to know who hit their button first. Assemble a bunch of trivia questions that you would like to ask your students. We made each round unique by taking various game shows and playing them. We did one Family Feud style, as well as The Price is Right, Jeopardy and Trivia Crack. Once you have your questions all you have to do is prep the pies. A nice healthy portion of shaving cream on the trays will do. Gather your four contestants and assign them to a buzzer. Once the question is asked, the contestants must hit their buzzer if they know the answer. This is where the tension comes in. If they don’t know the answer, they get a pie to the face. 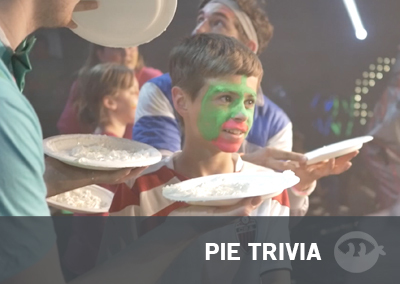 If they do know the correct answer, they are spared from a good old pieing. You can play this in many ways. You can have a new set of 4 contestants every round. Have the winner stay on. 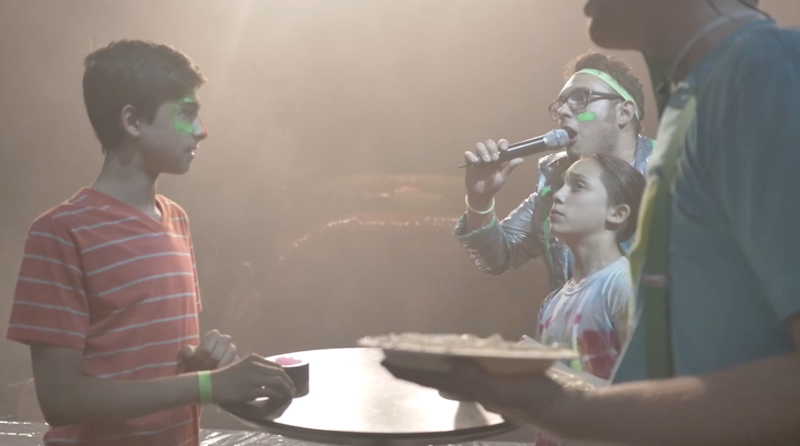 Keep asking questions to a set group of contestants until someone answers incorrectly, and gets pied. It’s up to you. 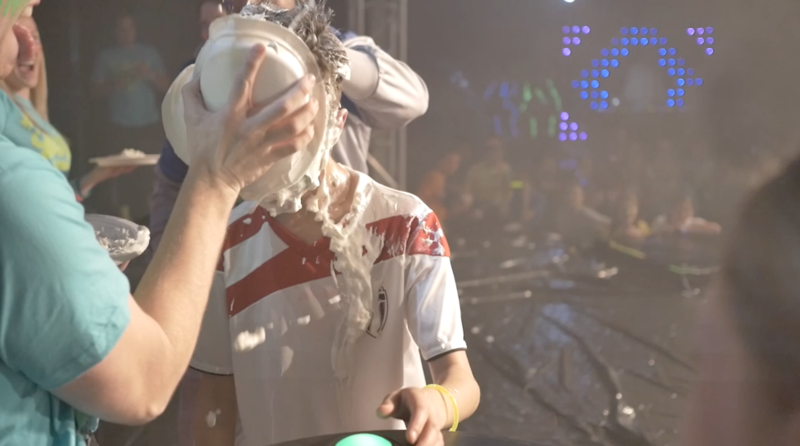 Make it fun, and who doesn’t like getting pied in the face anyway!